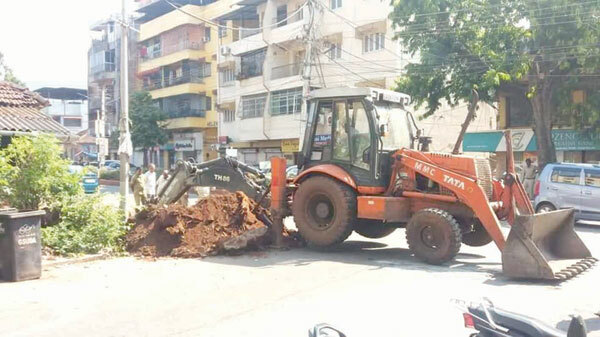 It has been more than three years since the ashoka trees along the Swatantra Path in Vasco had been cut down because they posed danger to the general public. A few of these old trees had also uprooted due to the strong winds during the monsoon season. However all these years no new trees had been replanted, a fact which I had highlighted in the past through the Citizen Herald page. Thankfully steps are now being taken to replant the trees by the local councilor. Without these trees Vasco seemed like a barren city with the sun beating hard on the streets. It remains to be seen whether it will be the ashoka trees that will be planted again. Ideally some flowering trees along the promenade, which is considered as one of the most well planed streets in the state, would add to the beauty of the port town.